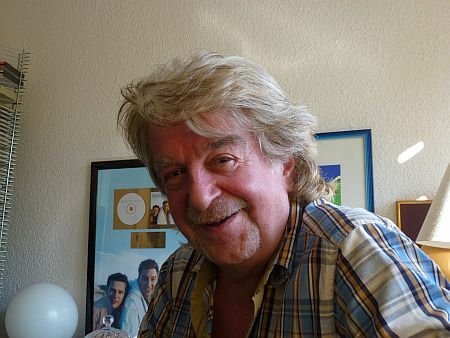 Norbert Daum, an Austrian musician who spent almost his entire working career in Munich, conducted seven Eurovision entries. 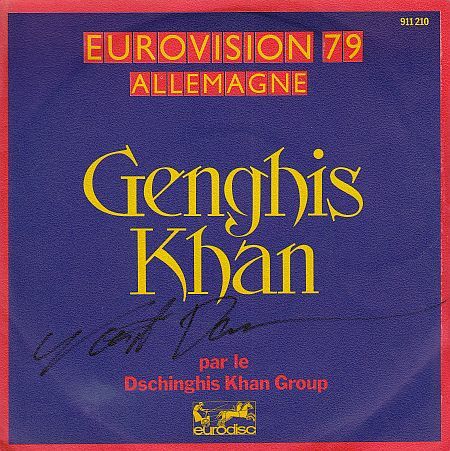 Six of those were Ralph Siegel compositions: ‘Dschinghis Khan’ (West Germany 1979), ‘Papa pingouin’ (Luxembourg 1980), Eurovision winner ‘Ein bißchen Frieden’ (performed by Nicole, West Germany 1982), ‘Children, Kinder, enfants’ (Luxembourg 1985), ‘Träume sind für alle da’ (Germany 1992), and ‘Wir geben ‘ne Party’ (Germany 1994). Moreover, in 1993, Daum was invited by pop band Münchener Freiheit to conduct ‘Viel zu weit’, the German entry in that year’s contest. Daum is one of the few maestros who were involved in the contest after the demise of the Eurovision orchestra in 1998, penning the orchestrations to three more Siegel efforts between 1999 and 2009. Norbert Daum estimates that some ninety per cent of the productions he worked on between 1975 and 1985 were commissions given to him by Siegel, while he also worked with Werner Schüler, the producer of Jürgen Drews, and started doing some productions of his own in the early 1980s, most importantly with Costa Cordalis. 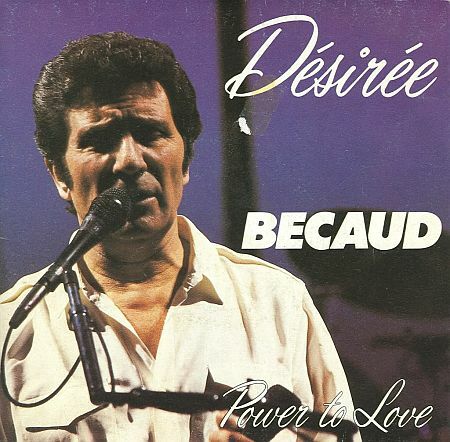 In these years, he also wrote studio arrangements for the likes of Rex Gildo, Roy Black, Vicky Leandros, Peggy March, Peter Alexander, Roberto Blanco, Ingrid Peters, Chris Roberts, Karel Gott, and Mireille Mathieu. 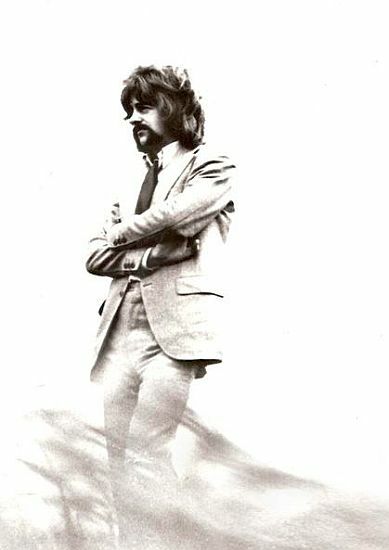 He penned the scores to countless hit successes, including ‘Ein Bett im Kornfeld (Let your love flow)’ by Jürgen Drews (1976), ‘Abschied ist ein bißchen wie Sterben’ by Katja Ebstein (1979), and Siegel’s Eurovision compositions ‘Dschinghis Khan’ by the Dschinghis Khan Group from 1979 and ‘Ein bißchen Frieden’ by Nicole, which won the contest in 1982. 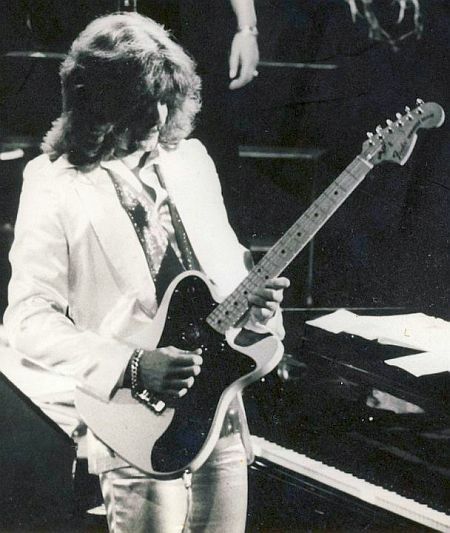 Apart from countless studio scores, Norbert Daum penned arrangements for live shows by Rex Gildo, Peter Alexander, Jürgen Marcus, Chris Roberts, and Jürgen Drews. Moreover, with his friend and colleague Wolfgang Rödelberger, Daum arranged the music to Ralph Siegel’s musical comedy for children, ‘Winnetou’ (1982). In the 1970s, he made his conducting debut on stage with three Ralph Siegel compositions which participated in the International Song Festival of Majorca (Spain), performed by Anne Karin (representing West Germany, 1976), Best Wishes (Luxembourg, 1977), and Etta Cameron (USA, 1978) respectively. Over the years, some special projects came Norbert’s way. In 1988, he was invited to arrange and conduct a 120 man strong orchestra for a one-off performance by Leslie Mándoki and his band (including László Bencker on keyboards) at the Summer Olympics in Seoul, South Korea. Though not a regular in the film industry, Daum arranged the music to the 1990 box success ‘Go Trabi go’. Moreover, he was involved in composing and arranging music for TV programmes, including the successful ZDF series ‘Ein Fall für Zwei’ (1989), while he arranged and conducted the Bavarian Radio Orchestra for the 1998 ARD Sports Gala and the Guinness Show of Records in that same year. He also made his mark as a composer of some radio and television adverts, including TV spots for the Social-Democratic Party of Germany (SPD) in the campaign which eventually saw its candidate Gerhard Schröder winning the chancellorship in 1998. In 2003, he wrote the music to an educational CD teaching elementary school pupils the basics of the English language. In the 1990s and 2000s, Norbert Daum continued teaming up as a freelance arranger and producer with recording artists from many different genres, ranging from Volkstümliche Musik, i.e. German-language folk, to crossover projects with classical singers. 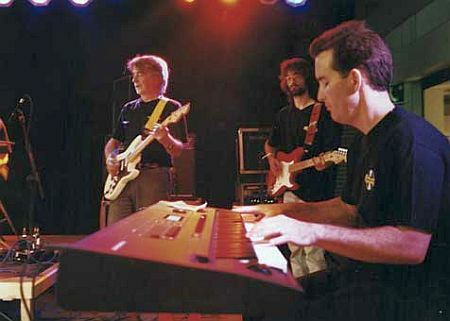 Amongst many others, Daum worked with Max Greger, the Original Naabtal Duo, the Bellamy Brothers, Margot Eskens, Nicole, and Chris Norman. In 1998, he arranged the first of several gold albums for Die Jungen Tenöre, a trio of classically schooled male singers specializing in crossover repertoire. In 1999, Daum wrote the string arrangements to Laura Schneider’s hit single ‘Immer wieder’. He recorded several albums with Angela Wiedl, of which ‘Zwischen Himmel und Erde’ (2009) went platinum. 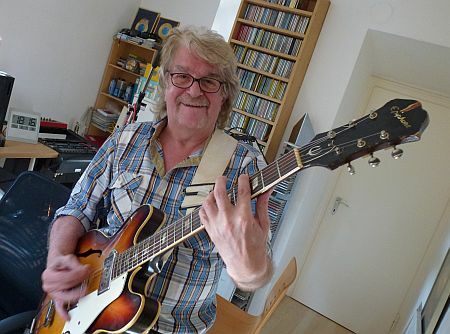 Between 1998 and 2005, he arranged the music to no fewer than five albums of singer-songwriter Hanne Haller (1950-2005). After her death, Daum went through her archives looking for demos with unpublished material, which resulted in a posthumously released album ‘Die unvollendeten Lieder’ (2008). Since the second half of the 1980s, Norbert Daum’s trademark has become his crossover projects with the Munich Philharmonic and several other classical orchestras, earning him the epithet ‘Karajan of Pop Music’. In 2002, he recorded the album ‘Verwandlungen’ with tenor Ricardo De Loro, whilst he arranged a 2004 release of sixteen choral songs with the Choir of Bavarian Radio. From 2006 onwards, he has worked on several projects with Ralph Siegel’s wife, soprano Kriemhild Jahn, including, most notably, ‘Mozart-Premiere’, a live concert in Munich with the Czech Philharmonic Orchestra featuring the best-known melodies from Mozart’s work in re-arranged vocal versions. 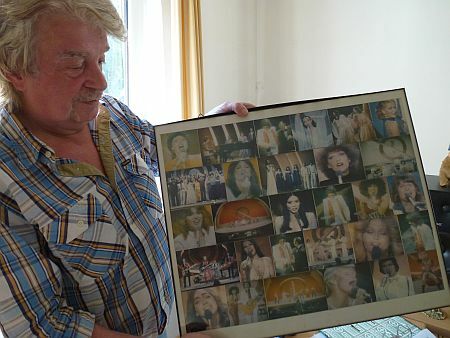 One of the more experienced conductors of the Eurovision Song Contest, Norbert Daum conducted seven competing entries between 1979 and 1994 for West Germany, Luxembourg, and the united Germany, amongst which the winning ‘Ein bißchen Frieden’ for Nicole (1982). His first involvement in the festival, however, was as a performing artist, albeit in a pre-selection show only. The year after, in 1980, Norbert Daum was once more involved in the Eurovision Song Contest as an arranger and conductor, this time for Luxembourg. A Ralph Siegel composition, ‘Papa pingouin’, was chosen internally by RTL television to represent the Grand-Duchy in the international festival final in The Hague. In those years, Siegel had close ties with Luxembourg’s broadcaster, for whom he had already written a song for the Majorca Festival some years before. As West Germany’s pre-selection was won by another of his creations, Katja Ebstein’s ‘Theater’, Siegel had two chances of winning the contest. ‘Theater’ came closest, finishing second, whilst ‘Papa pingouin’, performed by the young Parisian twin duo Sophie & Magaly, had to settle for ninth place. Strikingly, Siegel chose two different arrangers: Daum for Luxembourg and Wolfgang Rödelberger for West Germany. In 1993, Norbert Daum made his only conducting appearance in the Eurovision Song Contest in a collaboration which did not involve Siegel. 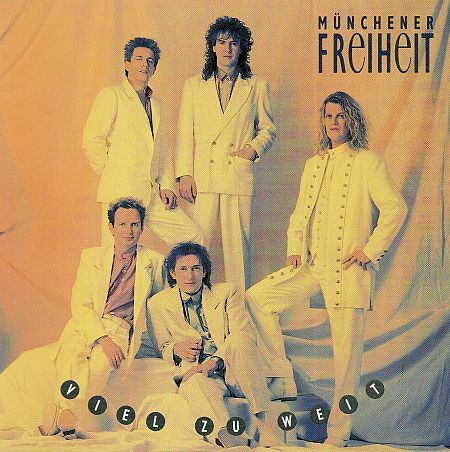 The pop quintet Münchener Freiheit, with lead singer Stefan Zauner, came up with ‘Viel zu weit’, a symphonic pop song in the style of their massive 1980s hit ‘Keeping the dream alive’. Daum recreated the record instrumentation by Stefan Zauner himself into a lush string arrangement used in the live performance of the band at the Eurovision final held in the Irish backwater of Millstreet. In spite of their international reputation, Zauner and his men finished in a humiliating eighteenth position amongst twenty-five competing acts. “It was the band’s manager Jürgen Thürnau who called me if I was interested writing that orchestration and conducting it in the contest”, Daum recalls. “Of course I accepted! That week in Ireland was thoroughly enjoyable. It was my first visit to that country and I loved the atmosphere. Our hotel in Killarney was alongside a lake. On my free afternoon, I saw a fisherman… a man with a pockmarked face and wearing an eye patch. He was about to go fishing. I asked him if he minded my joining him. He gave me an oilskin and off we went! He also showed me O’Sullivan’s Cascade at the other side of the lake, a beautiful waterfall. When we went ashore there, it felt as if I was walking into some romantic tale… this beautiful waterfall and stones overgrown by mosses… I expected Peter Pan to appear any moment! As Ireland won its own contest in Millstreet, the country had to stage the festival in 1994 as well. This time, Dublin’s Point Theatre was the venue and Germany was represented here by a girl trio called MeKaDo, who performed a commercially clever Siegel/Meinunger tune, ‘Wir geben ‘ne Party’. Once again, Siegel commissioned Daum to turn the record arrangement he and Andy Slavik had written into a proper live orchestration. The final result was a convincing performance and a third place behind Ireland and Poland. Norbert Daum is one of the very few conductors who remained involved in the contest after the orchestra’s demise. Called upon by Ralph Siegel, he orchestrated several more of his Eurovision attempts, including ‘This night should never end’, with which Petra Frey finished second in the Austrian pre-selection in 2003. 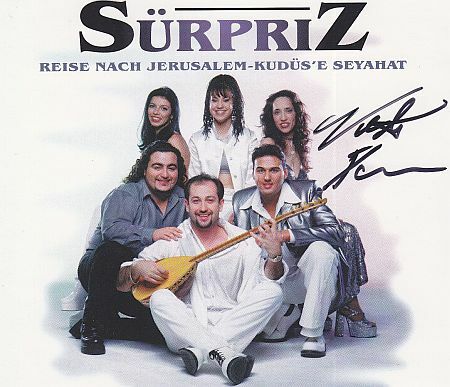 In the international festival, Daum’s orchestrations were heard on three more occasions: in 1999, he recorded a lush string arrangement with the Munich Symphony Orchestra to enrich the sound of ‘Reise nach Jerusalem – Kudüs’e seyahat’ by Sürpriz, another manufactured Siegel project which came quite close to winning and secured Germany a third place in that year’s contest, held in Jerusalem. In the new century, he re-worked the studio productions of two more Siegel compositions, ‘If we all give a little’ by Six4One (Switzerland 2006) and ‘Just get out of my life’ by Andrea Demirović (Montenegro 2009). So far, we have not gathered comments of other artists about Norbert Daum. Bas Tukker interviewed Norbert Daum in Bad Tölz, July 2013. All photos courtesy of Norbert Daum.